Natural Amla: Nourishes your hair and makes it strong and black. 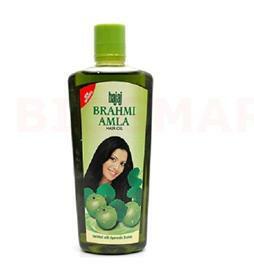 Ayurvedic Brahmi: Conditions your hair making it soft, silky and mangeable. The Dual goodness of Ayurvedic Brahmi along with Natural Amla works from the inside to give you healthy and nourished hair that shines.